“Seen It On TV” - A look at some of the more interesting recent arrivals at TWR HQ. Yours truly has been playing catch up with some of his musical viewing recently. There seem to have been quite a few commercial DVDs which had slipped through the net until recently so here is a round up of some of the non-Genesis musical viewing that has been going on here at TWR HQ. First up, a pair of superb compilations by someone I bet you never associated with the editor of TWR, Rory Gallagher, perhaps one of the finest proponents of the blues that the British Isles has ever produced. 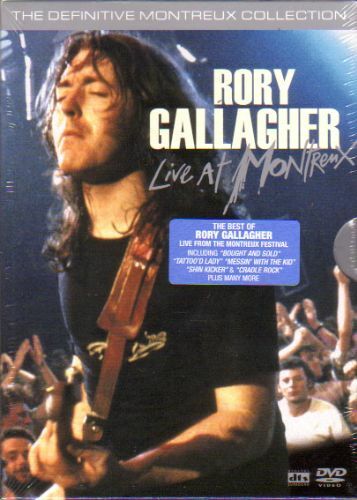 Sadly, I only ever had the chance to see Rory in concert once and so the recent release by Eagle Vision of two magnificent compilations of Rory’s performances from both the German TV Rockpalast series and his performances at the equally famous Montreux Festival had me drooling at the prospect. It really is a shame that here in the UK TV companies have treated their music archives with a stunning lack of respect and it really is an object lesson in how to do things properly when you watch compilations such as these. Fundamentally both DVD sets represent a series of career snapshots of the man himself and his band of musicians. Blues playing seldom gets better than it does on these releases. Rory himself and his trademark battered Strat take the stage and the audience by storm on each and every performance and it really is impossible to select a favourite moment from the wealth of musical excellence that is on display here. If you want to see a musician at the top of his craft, then these releases should be compulsory viewing - I’m back off now to practice my air guitar routine for Shadow Play once again - excellent stuff all round. Rory Gallagher: Live At Montreux Eagle Vision EREDV473 2 Disc Set. 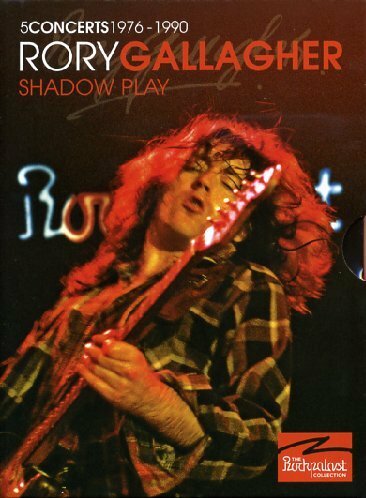 Rory Gallagher: Shadow Play The Rockpalast DVD Collection. ERDV706 3 Disc Set. I think I may have mentioned before that I have been a fan of Chris De Burgh since I first saw him supporting Supertramp? Well, if not, I have said it now. Chris’s profile is not as high now as it used to be but he still manages to pack them in whenever he goes out on tour. 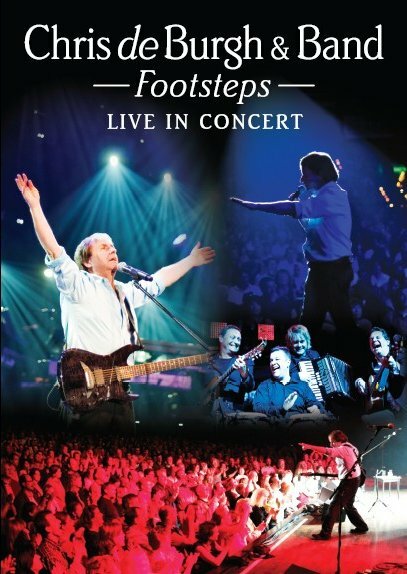 The latest DVD release from him is Footsteps Live In Concert which was filmed during his 2009 tour in Europe and South Africa. It really is a shame that these days whenever you mention the name of Chris De Burgh you are immediately confronted by memories of Lady In Red. Great pop song that it was, there has always been much more to Chris De Burgh than that as anyone who has attended his shows will no doubt tell you. His latest tour still had some of those shiver down the spine moments as my review of his Liverpool gig in our last edition will reveal. They are still present here on this excellent DVD which manages to bring the excitement of the show to the small screen. The concert is a marvellous mix of old favourites, some new material and a handful of well chosen covers all of which prove that Mr De Burgh still has the Midas touch when it comes to entertaining!